Transition to Algebra (TTA) is an initiative of the Learning and Teaching Division at Education Development Center, Inc. (EDC). Supported by the National Science Foundation, TTA seeks to quickly give students the mathematical knowledge, skills, and confidence to succeed in a standard first-year algebra class and showing them that they can explore mathematics and actually enjoy it. raise the competence and confidence of students who may benefit from supports for algebra success. Please visit the transitiontoalgebra.com for sample materials and purchasing options. 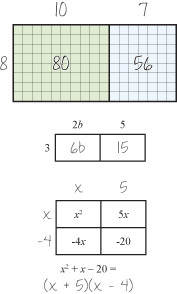 TTA is designed to build students' algebraic habits of mind, key mathematical ways of thinking aligned with the Common Core Standards for Mathematical Practice. 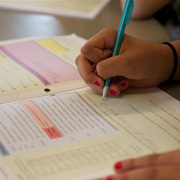 Students explore algebraic logic puzzles that connect to and extend algebra course topics and learn broadly-applicable tools and strategies to help them make sense of what they are learning in algebra. Students discuss and refine their ideas as they work through mental mathematics activities, written puzzles, spoken dialogues, and hands-on explorations that engage them in cultivating mathematical knowledge, intuition, and skills.